Waimate District’s history reflects the stirring story of New Zealand’s colonial days, and the pioneers who milled the forests, developed the land into farms and built their towns on the edge of the wilderness. The Cuddy. Built in 1854 for Michael Studholme, owner of Te Waimate Station. The district’s first white settler, Michael Studholme, arrived in 1854 after making a peaceful accord with local chief Te Huruhuru. Their first meeting is immortalised on the painted silos in Waimate. Descendants of Te Huruhuru and other Maori from those days still have strong connections to Waimate - their hapu, Te Runanga o Waihao is based at the Waihao Marae, at Morven. The Studholme family still farm at Te Waimate Station - once a little house in the forest, and now a farm on the outskirts of town on the SH82 inland route. Michael Studholme’s first home, the Cuddy, is still on the property. Wheat, churches, and great characters are also part of Waimate’s story. You can visit many of the historic churches, and see reminders of our wheat milling history on Queen Street, where the Waimate silos, and the Empress Flour Mill still stand. The Maori people of the Waihao trace their tipuna (ancestors) back to the arrival of two waka at the mouth of the Waihao River. A semi-permanent settlement was established there. Two of the women of the tribe - Waiariki-o-aio and Tapuiti - particularly loved the sweet flavour of the Hao eel of the Waihao River and it is said that this is the reason that the Waitaha people stayed here. Tapuiti is credited with starting and being responsible for the construction of permanent eel weirs throughout the island.  Download the Waimate Historic Walk brochure for your self-guided tour here. You’ll find that many of the buildings have interpretive plaques, and you can discover more at the Waimate Museum, and the Waimate Information Centre, or chat to the locals. There’s also a self-guided walk in the Waimate Old Cemetery, where stories told by the headstones trace the early settlement of our district. The only monument to Queensland Harry is his headstone in the Waimate Cemetery. You can learn more about him, and our other interesting early settlers, by doing the self guided walk of the old cemetery, download your copy here. You can also check out the Strawberry Heritage Trail — a three-hour drive taking in historic highlights on the coast and inland, download map here. Bushtown Waimate is a replica Edwardian town, under development, bringing the logging past of Waimate to life. Featuring a steam sawmill, bushman's hut and miniature train, and the team has big plans for the future. Paterson’s Cottage, is an historic building visible from the Waimate-Hakataramea Highway (SH82), between Waimate and Kurow. This cob cottage is believed to have been built about 1880 from Penticotico clay and tussock. The original cottage had a main room with an open fireplace. A loft which would have been the sleeping quarters ran the length of the building. Behind the main room, was a lean-to running the length of the building; historians state it would have been the kitchen area. The building has been restored by local supporters and the New Zealand Historic Places Trust. A bottle of beer has remained unopened behind the bar of the Waihao Forks Hotel since WW2. The bottle was left there by Private Ted d'Auvergne when he set off for war in January 1940. He told the publican he would drink it when he got back, however he was killed in action in Crete in 1941. The bottle remains as a unique memorial to Ted, and all the young New Zealanders who lost their lives, thousands of miles from home in WW2. Publicans Shane and Sandy Doolan are fantastic hosts. Stop for a drink and a bite to eat, the garden bar is great on a sunny afternoon. The limestone caves and rocks around Waimate district were painted for hundreds of years by Maori travellers on their seasonal hunting and fishing expeditions. Most have been lost over time, due to erosion and damage from stock; but two sites within 40 minutes of Waimate are dramatic examples of the artists' skills. A stone wall on SH82 in Ikawai, provides a barrier between the road and a sharp drop to the Waitaki River. Built from large stones to confine the road, the wall runs for several kilometres along the banks of the Waitaki River. It was constructed under labour work schemes during the 1930's years of "Depression". The stone wall is visible as you drive along the road but please note there is no safe place to stop and take photos. This is marked by the bell tower of the first Presbyterian church in Waimate. The church, of wood in Gothic form, was opened for public worship by Rev. A.B. Todd of Oamaru in August 1874. The original church was replaced by a stone building in 1935. As a result of efforts of the Waimate Mayor, Mr George Dash, the bell tower was removed from the site and placed in position near the early Presbyterian manse. The Waimate Museum and Archives is housed an impressive collection of 11 historic buildings - including the 1879 courthouse - that showcase over 100 years of architectural styles. The museum and archives are a wonderful memory bank for the district, and a must-see for visitors and researchers. This building is a category 1 historic place on the Heritage New Zealand register. The Heritage NZ citation states that the older part of the woolshed was built by Michael Studholme and his brothers in 1855. A lot of the timber is adzed, and all the inside timber is pit-sawn totara. In the peak period of station history nearly 100,000 sheep were shorn annually in the shed. Early steeple chasing events were run from the shed over the nearby fences. Te Waimate Woolshed is one of the most attractive and historically important of any in New Zealand; and is one of the oldest working woolsheds in the country. Permission is needed by the owners to view. Te Waimate Station, State Highway 82, Waimate. Erected in memory of the unexpected meeting on 16 January 1844 between two early European travellers. Bishop Selwyn, heading south on his first big trip around the South Island, met Edward Shortland, sub-protector of Aborigines, who was travelling north compiling the first census of South Island Maori. They camped the night together at Hook Beach. The concrete monument was built by members of the Waimate Historical Society, and unveiled in 1969 by the New Zealand Maori Bishop of Aotearoa, the Right Rev Manu Bennet. Hook Beach. Turn onto Hook Swamp Rd from State Highway 1, and then turn on to Hook Beach Rd. The woolshed, a T-shaped building of limestone, originally with 24 stands, dates from around 1868, when the Land Company took over the property. It is the only completely stone woolshed in South Canterbury. The shed featured a slatted floor, familiar nowadays, but at the time this was seen as a novelty. It is still used as part of a working farm, although not for shearing sheep. Te Huruhuru, of Waitaha, Kati Mamoe and Kai Tahu descent, was chief of Te Waimatemate Pa. In 1854 Te Huruhuru met Michael Studholme and came to an agreement with him about the new settlers’ occupation of the land. This monument was laid in 1934 to commemorate the meeting place between Chief Te Huruhuru and Michael Studholme. It was officially opened by Joseph Thomas Te Huruhuru (grandson) and E.C. Studholme (son). The painted silo overlooking the monument also commemorates this meeting. Junction of Queen Street & Gorge Road, Waimate. Originally a seasonal birding camp for local Maori, the area within the vicinity of the cemetery became the permanent home of the Te Waimatemate hapu. Chief Te Huruhuru died in 1861 and was buried within the cemetery enclosure. The sites of individual graves, including that of Te Huruhuru, cannot be pinpointed precisely. In 1934 the cemetery was taken over by the Waimate Borough Council and a monument was erected to mark the burial place of the Chief and other members of the Maori community. The monument is surrounded by native bush and is also near the site of the first Maori church that was built in Waimate in 1860. The land for the church was given by Michael Studholme. Matai and totara trees were hauled from the Waimate forest in 1872 to build the church. Designed by Benjamin Mountford, the church was built by J.W. Gaitt and G. Dickson for 350 pounds. The distinctive St Augustine's lantern tower was built by S. Collett, using local kahikatea, when the church was enlarged in 1889. Among the beautiful stained glass windows is one on the side of sanctuary based on the design of Sir Edward Burne-Jones, a leading artist. The church has two of New Zealand's few stained glass windows designed and manufactured by the English firm of Morris & Co. In 1902 the Lych Gate was given by Mrs Michael Studholme in memory of her husband and their two sons. 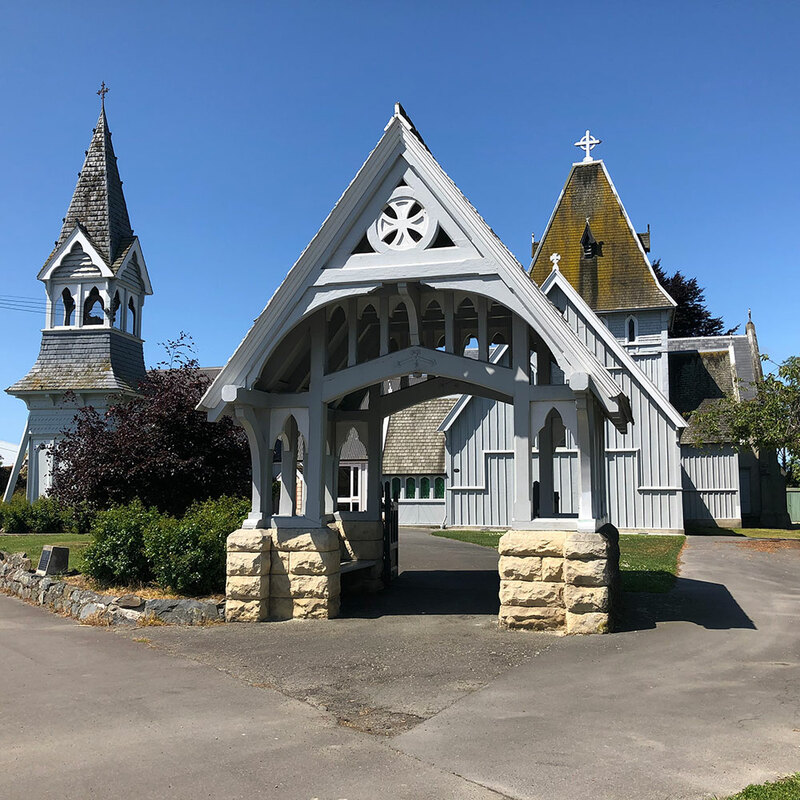 One of the loveliest of South Canterbury's churches, St Mary's Esk Valley was designed by the Christchurch architect B.W. Mountford and built of limestone from the Albury district. The church had its origins in tragedy. In 1878 Ellen, the young wife of Charles Meyer, owner of Blue Cliffs Station, died following an operation. Charles Meyer instructed his trustees to build the little stone church to fulfill his wife's wish and to her memory. The church was consecrated in May 1880 by Bishop Harper. The interior is rich with colour from windows dedicated to members of some of the early settler families in the district. Church Hill Road off Esk Valley Road. The Cuddy built in 1854 was the first home of the Studholme family, the first European settlers in the Waimate District. It was constructed from a single totara tree, with the roof being thatched. It has been faithfully restored, and visitors are welcome to view the Cuddy by contacting the owners on 03 689 7791. The first Catholic Church was opened in 1877, and the first St Patrick’s School in 1880. The ‘new’ church was was built in 1908 and opened on 24 October 1909. This church replaced the original, built in 1876 of heart timber milled in the Waimate bush. It was moved to Washdyke in 1934 and is still there. The rose window at the front of the church is 4.2 metres in diameter. The three bells in the tower were cast in Belgium; the largest weighs 15cwt (3/4 ton), the other two 10cwt (1/2 ton). The church was renovated in 1954. The fourteen "Stations of the Cross" paintings are originally from St Mary's Church at Makikihi. Hannah is the name that was given to the magnificent pipe organ. One of the district’s most illustrious citizens Dr Margaret Barnett Cruickshank, was the second woman to graduate in medicine in New Zealand, and the first to go into general practice - in Waimate, in 1897. She was born in Palmerston, Otago, in 1873. In 1913 she went to Britain to study, after a public send-off when the district gave her a gold watch and chain, and a purse full of sovereigns. She returned in 1914, and shared the superintendency of the Waimate Hospital. She died on November 28, 1918, a victim of the flu epidemic. Dr Cruickshank is the only person commemorated in the district by a marble statue of herself. The statue was unveiled in 1923, and bears the inscription ‘The Beloved Physician, Faithful Unto Death’. She is also represented on the painted silos. Seddon Square, Queen Street Waimate. Tucked away in a paddock on a quiet country road is the historic reserve dedicated to Jeanie Collier, the first woman runholder in South Canterbury, and the first European woman to live in the Waimate District. She was born in 1791 or 1792 at Monimail, Fife, Scotland. She came to Canterbury in 1854 with her three orphaned nephews, and set about establishing them on the land. In 1855 she was granted a licence. The runs covered 11,534ha between the Otaio and Makikihi Rivers, and another 11,534ha between the Makikihi and Hook Rivers, both from the sea inland. Jeanie Collier died in 1861, and was buried near the site of the home she established in the wilderness of tussock, flax and fern. Her grave was marked with a headstone in 1955, in a reserve of gum trees. Horse Shoe Bend Road, Otaio. The farmland at Kapua was in 1894 the site of the largest ever find of moa bones - there is an information panel just off the highway on Kapua Road at the end of the Waimate Gorge. This area was once a lagoon, and the early settlers said it was known by Maori as the “lake of Mirrors” or “the clouds turned around”. The Kapua birds all died naturally, over several generations. It was a feeding area dotted with spring holes connected to a ground water supply. Unlucky Moa grazing across the swamp, where vegetation covered the holes, would fall leg and bottom first into a hole, and be unable to lever themselves out, being wingless. They would die, and after the birds decomposed, the bones would fall down the spring hole. The birds at Kapua have been dated from 1014-714BC. Learn more. Before the White Horse monument was built, Waimate’s main landmark was the wheat silos, which opened in 1921 to serve the Waimate Flour Mill. Wheat is part of the enduring story of Waimate - the first flour mill was established at Willowbridge in 1875. 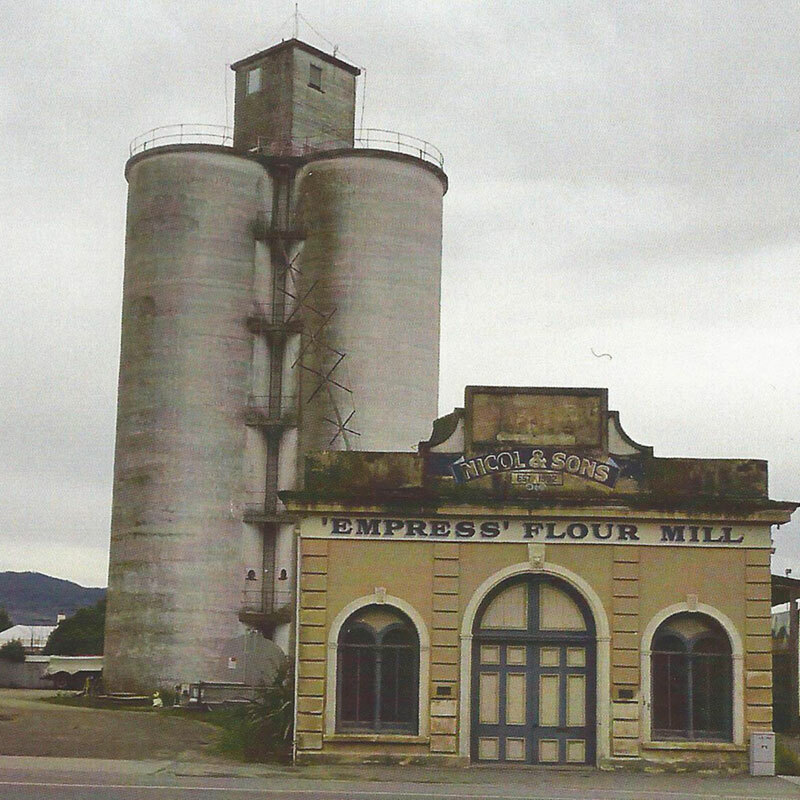 The silos were built next to the Nichol and Sons “Empire” Roller Flour Mill when more storage was needed. But soon afterwards the mill was closed and the silos weren’t used at that time. Later, in 1955, sacks of wheat were stored on the silo floor. And later again, Flemings Company installed sleeves in each silo bin, with a storage capacity of 4000t for wheat, barley and oats. Grain is still grown in the district, but today’s crops are usually carted immediately to Timaru, or stored in silos on-farm. The silos are 35 metres high, including the little ‘house’ on top, and are now painted with incredible murals. Learn more here. This mill was established by Robert Nichol in 1890, close to the Waimate Railway Station (closed in 1966). Five hands were employed producing annually 300 tons of flour for local consumption, and 1000 tons for shipment. The Waimate flour won first awards in open competition at the Anglo-Japanese Exhibition in London, 1910, at the Festival of Empire, London, in 1911, and at the Auckland Exhibition 1912-14. The company expanded its storage, opening the Waimate silos in 1921. Unfortunately, soon afterwards, the Government introduced a quota on wheat outputs. The outcome was that the company sold its plant to the Waimate Transport Company Ltd, and wound up the business. The first church was built in 1874, was of wood in Gothic form and was built on this site. It was demolished in 1933 to make way for the present church, built 1934, 60 years to the day from the laying of the foundation stone of the old church—12 March 1874. The foundation stone of the old church is set in the wall at the back of the apse. Most of the stone for the church was taken from the river bed near McCulloch's Bridge, with the inclusion also of stone from the Waituna and Hook districts served by the church. The communion table, timber in the roof of the apse, and the rafting were preserved from the old church. The two memorial windows in the front of the church and the circular window above them, the pipe organ, as well as the bell tower that can be seen at the top of Manse Street are also from the old church. Corner of Shearman and Manse Streets, Waimate. Quinns Arcade was built in 1906 by William Quinn - who had a brickworks at Makikihi - and was designed as an indoor shopping arcade of 12 small shops running between High and Grigson Streets. The shopping arcade wasn't a success, so in 1918 it was remodelled into a movie theatre and billiards hall. The theatre opened in 1920 and operated successfully until a fire in 1955. Since that time the arcade has been used for a range of shops and storage. (Information from the Waimate Historical Museum and Archives). High and Grigson Streets, Waimate. Contains memorial windows (1929) to the district’s pioneers including the Manchester Brothers, John and George, who were the founders of the church. John Manchester was the first Mayor of Waimate. Other windows include one to Samuel W. and Eliza Goldsmith ‘Zealous of Good Works’, and to Alpheus and Anna Hayes. Formerly the Salvation Army Citadel. Opened in 1973 by the Prime Minister Norman Kirk, who had a Salvation Army upbringing in Waimate. This is the third structure to have been built by the Salvation Army. The first, built in 1884, was destroyed by fire in 1900. It was replaced the following year by a brick building that still stands on Queen Street. The community centre is used for public meetings and events. Established in 1871, the Waimate Old Cemetery covers an area of 2.33ha. The headstones tell the stories of the early settlement of Waimate. The scourge of tuberculosis, influenza and scarlett fever is reflected by the inscriptions. In October 1871, the Canterbury Provincial Council set up a board to establish the Waimate Cemetery. Board members were; Michael Studholme, Leonard Price, John Manchester, James Bruce and John O’Keefe. The earliest grave markers were made of wood and Waihao stone. As the settlement prospered, other New Zealand stone including granite were used, along with granite from Cathiners in Scotland and Carrara Marble from Italy. An Information Board just inside the gates of the old cemetery highlights ten of Waimate's early settlers buried there. Numbered markers also indicate the way to their headstones. Download a self guided walking tour map here. In commemoration of the work done by the Clydesdales in the agricultural development of Waimate. The White Horse was made from 1,220 concrete slabs with the head being over 2 1/2 tonne. The monument was the inspiration of Norman Hayman and modelled on the Whitehorse of England. Centrewood Park, Hunters Hills, Waimate. At the entrance to St Andrew's between the railway line and the sea, stands the roofless remains of a concrete granary. The granary was built in 1878 on the Pareora Estate to store grain before freighting by rail to Timaru and points beyond. Close by an information board tells more of the history of this area. The large concrete foundations and walls are still there today holding a local government Heritage C listing. In a national context, although concrete was imported in small quantities as early as 1843, it was not widely used in NZ until the late 1870’s. The Pareora Grain Store is therefore one of the earliest examples of concrete construction still standing. St Andrews was named after Andrew Turnbull, a local manager for the New Zealand and Australian Land Company. He had a reputation for using colourful language, so was ironically nicknamed ‘Saint’. A stone cairn at Willowbridge (corner Bradshaws and Willowbridge roads) marks the site of New Zealand's first Grand National Steeplechase, held on May 18, 1875. The steeple chase was held on the farm of Mr M Studholme. A general holiday was observed so town and country could join in the fun. There was a max exodus from Waimate to the site at around 11am on the day, “from the light buggy to the heavy six-horse wagon” plus people walking and on horse back - a very “animated” crowd. It was a day out full of entertainment, the busiest people on the day were the assistants to the wine and spirit booth. “The amount of liquor consumed on the occasion was something surprising and not without effect”. This resulted in a few fist fights, and a police horse getting spooked and knocking over the wheel of fortune and the woman running it! Thankfully she was unhurt. This article from Papers Past is well worth the read for the history buffs, and those wanting to set the scene for their visit to this site.